Je raadt nooit wat ik vandaag terug heb gehad. Een putter van Jorrit omdat zijn naam er op staat. Ik wil het toch maar even melden op deze website. een Ping is toch echt duur zat. Vinyl Label Points: round, simple and easy to apply. They also stick perfectly and are extremely easy to recognize. 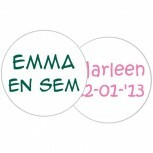 Highlight your favorite things quick and easily with these round name stickers. These compact labels are perfect for any small items. 24 pcs. 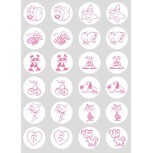 These round compact labels are great for just about anything! 24 pcs. 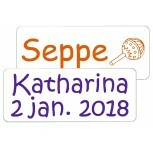 Small round transparent name labels with a little icon. A clear brand! 24 pcs. Small round name labels. Very convenient for everyone and everywhere! 24 pcs. 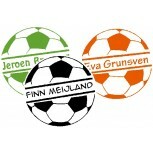 Small round name labels. Nice and extremely useful! 24 pcs. 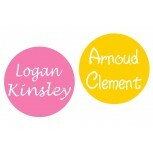 Round transparent name labels. A bright detail. They are great for just about anything! 2x 12 pcs. Always the same two icons, so you keep your stuff easily together. 24 pcs. 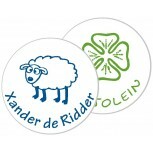 This striking round name tags make your stuff easily recognizable! 24 pcs.This striking round name tags make your stuff easily recognizable! 24 pcs. 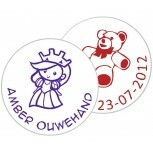 Transparent round name stickers, with your name and cute icon. 24 pcs. 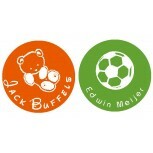 With large, round, transparent name labels are your thingseasily recognizable.